A Pinterest fail is only funny if it’s not permanent. A do it yourself (DIY) dentistry fail may not make for much of a joke, and it can last a lifetime. Before you delve into the latest DIY dentistry trick from YouTube, we recommend visiting your dentist to make sure the latest DIY fad won’t leave you with a permanently damaged smile. 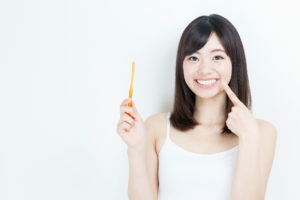 If you do damage your teeth trying out a new at-home smile fix, make sure to reach out to your dental office for restorative dentistry services right away. The earlier your dentist begins to repair the smile, the less likely you are to need advanced dental care services to repair your teeth.